Can you imagine a trip to the movie theater without a big bag of salted, buttered popcorn? It seems… downright wrong, doesn’t it? Nothing makes a movie better like a healthy helping of the crunchy snack, but did you know that movie theaters didn’t even want to serve it way back during the early days of theaters? That’s right! Theaters prided themselves as a high class establishment and thought the crunching of popcorn would be distracting during a movie. Of course, they overcame their misgivings and now we all gobble up the snack like it’s going out of style (it isn’t). Now, your child can look like the popular snack in no time! This kids popcorn costume looks just like a movie theater container filled to the brim with the delicious salty snack. 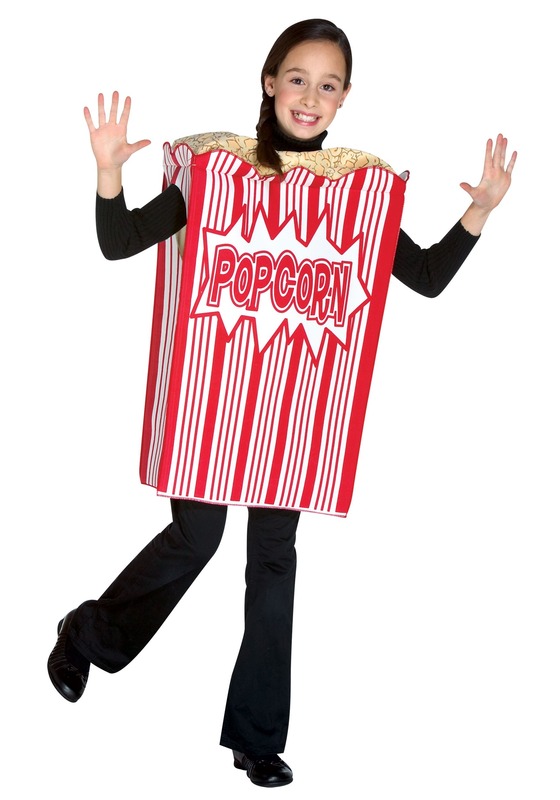 The costume comes with a tunic designed in the shape of a big popcorn box. It’s made of soft material and has room for your child’s head and hands to fit through. You can have your child wear it off to movie night, or just around the neighborhood for trick or treating. Either way, we think there we be a few people hungry for popcorn when they see this cute costume. Your other option to get your child to look like a bag of popcorn is to buy a whole bulk load of unpopped kernels and cook them until they pop. Then, you can pour them all over your kid’s clothes and… yeah, on second thought, the costume is probably a much, MUCH better idea.